Time to celebrate American, freedom and beer. Happy 4th of July folks. If you are reaching into a picnic cooler for an ice cold beer this Independence Day holiday, you are in good company. More than 99 million Americans drink beer responsibly, making beer the top choice over wine and hard liquor for celebrating occasions like the Fourth of July — America’s top beer-selling holiday. In the two weeks ending on July 7, 2012, beer was the largest selling category of all food and beverage categories in Nielsen measured channels, with sales reaching $1.36 billion. This year, brewers and beer importers hope to see beer again be the top choice for Americans celebrating the occasion. Overall, beer consumption rose 1.5 percent in the United States in 2012 as the economy began to come back after the recession and above normal winter and spring temperatures helped boost beer sales. This means that, on average, each American over the age of 21 drank a little less than one 12 ounce beer per day in 2012. That equates to about 300 beers per year. There’s another reason to feel good about drinking a beer in salute to America’s birthday. The U.S. brewing and beer importing business puts more than two million Americans to work, from barley farmers to shopkeepers and truck drivers. With the taxes levied on all aspects of brewing, importing, trucking and selling beer, American beer drinkers contribute significantly to local, state and federal government — $49 billion in 2012, according to a recent economic study. 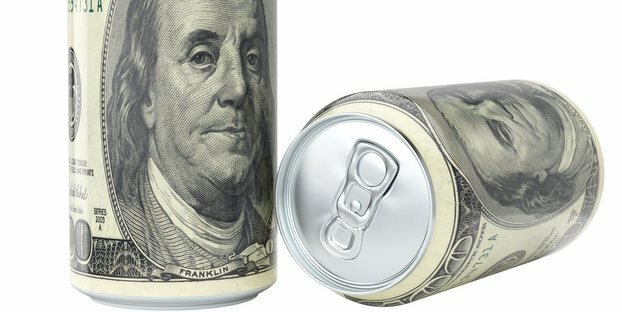 In fact, more than 40 percent of the retail cost of beer paid by consumers goes toward taxes, on a national average, making taxes the most expensive ingredient in beer. 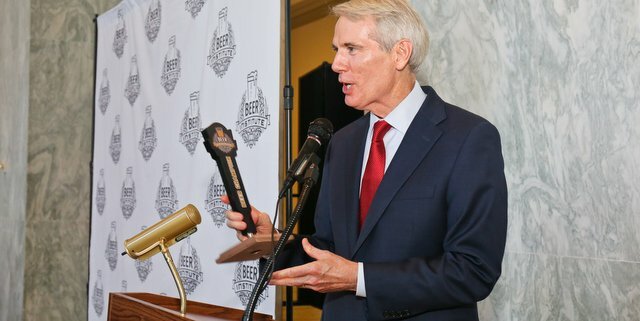 For more information about the economic impact of beer in the United States, including state and Congressional district data, please visit www.BeerServesAmerica.org.